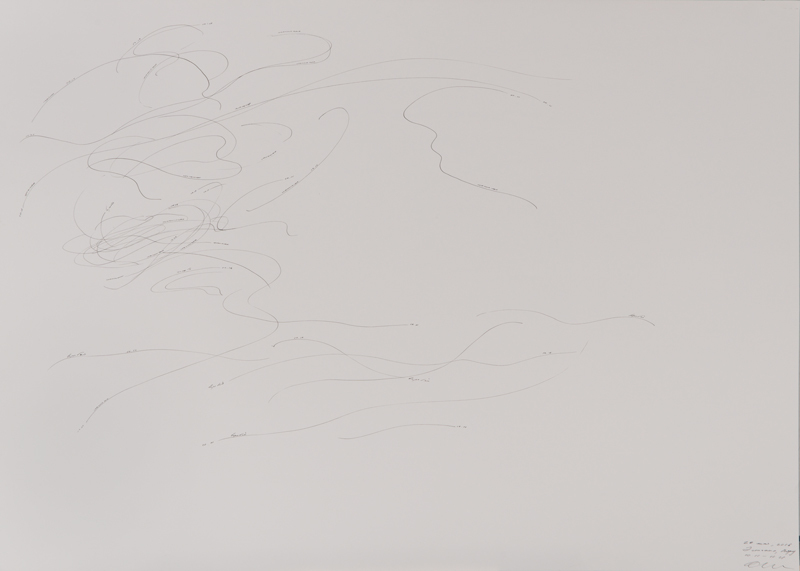 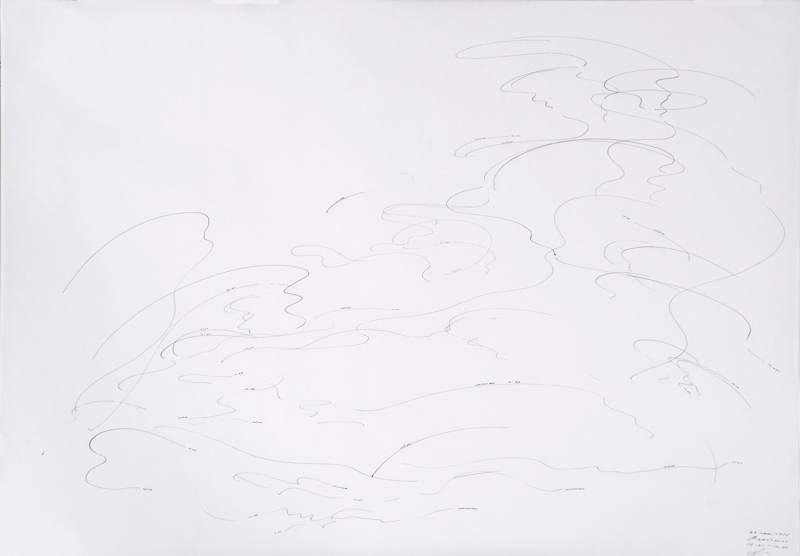 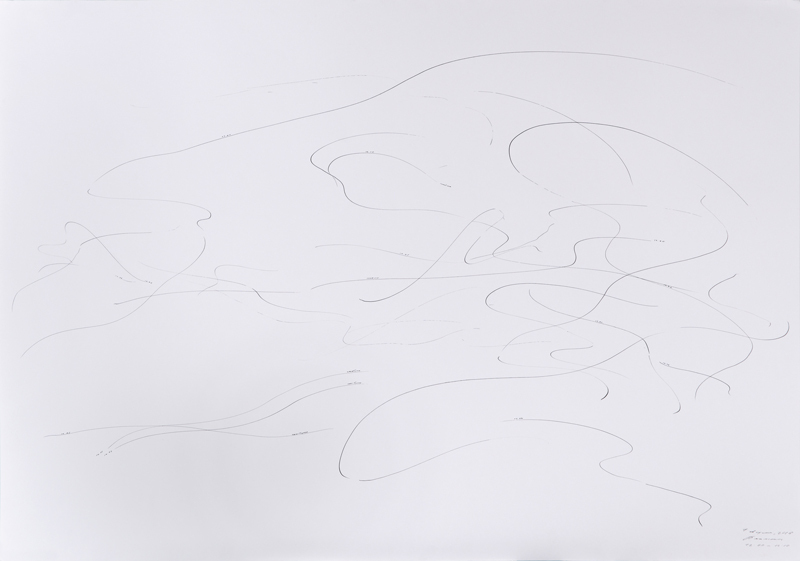 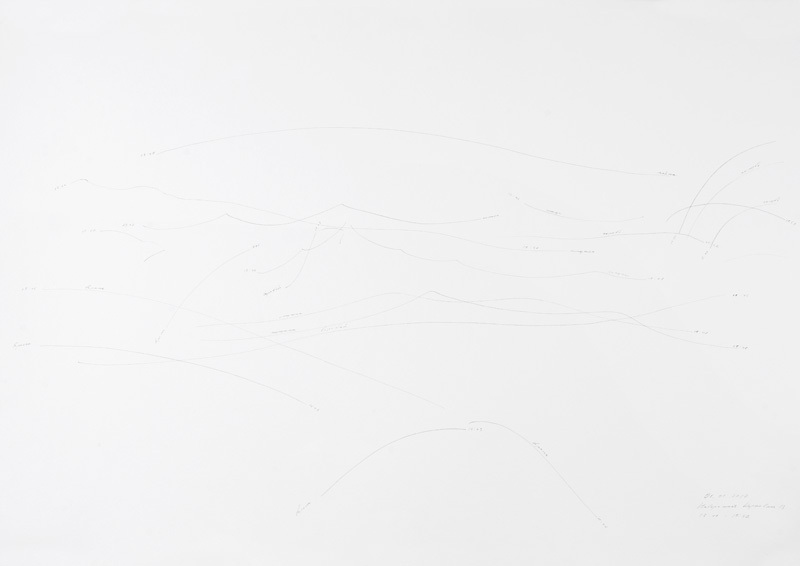 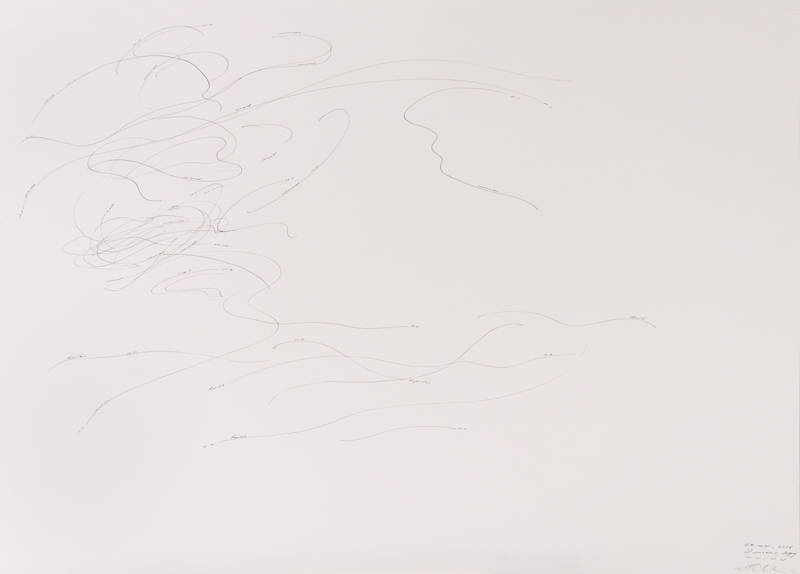 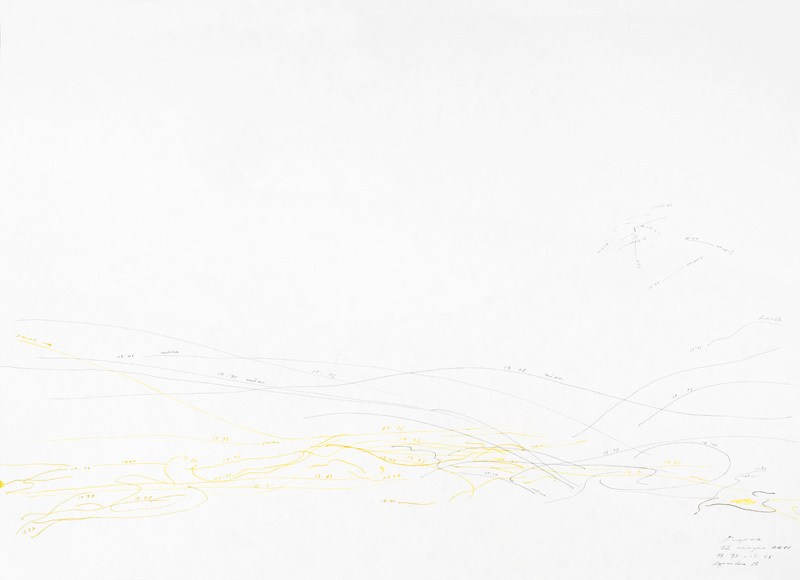 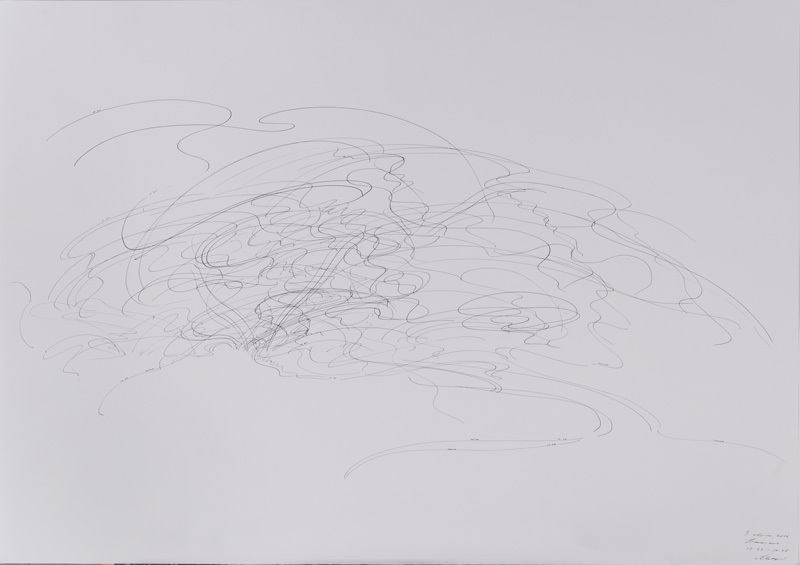 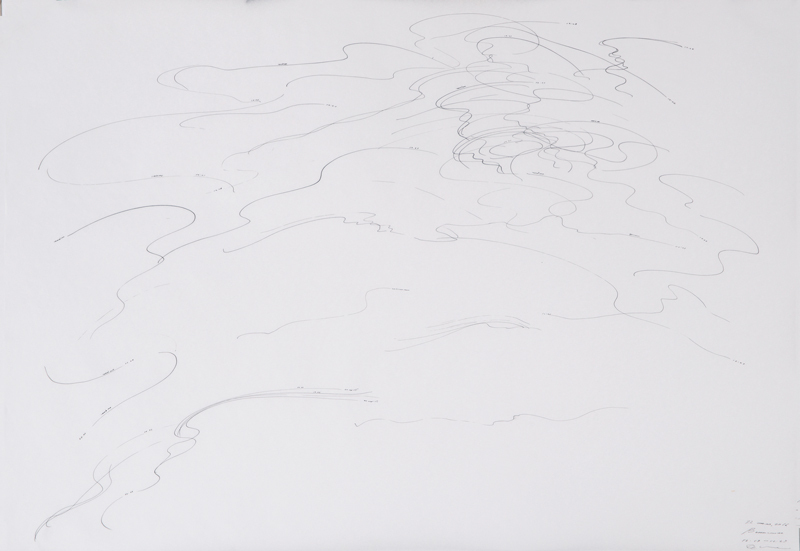 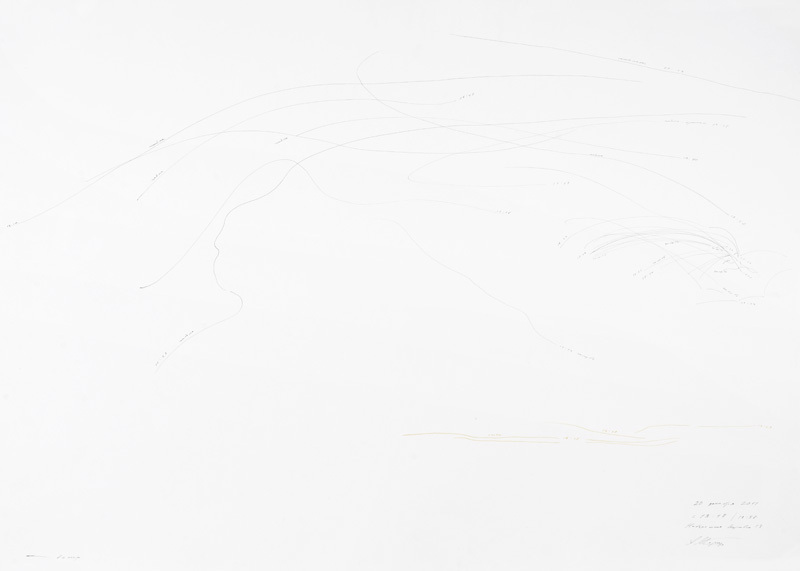 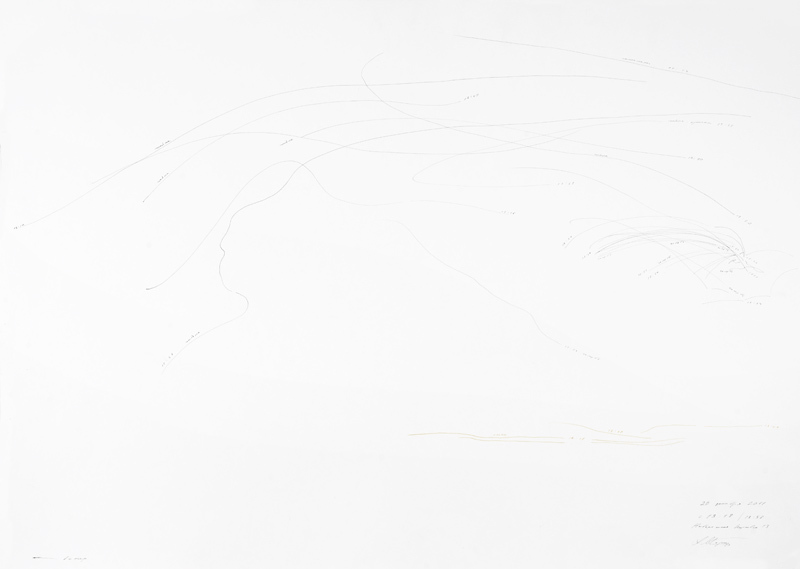 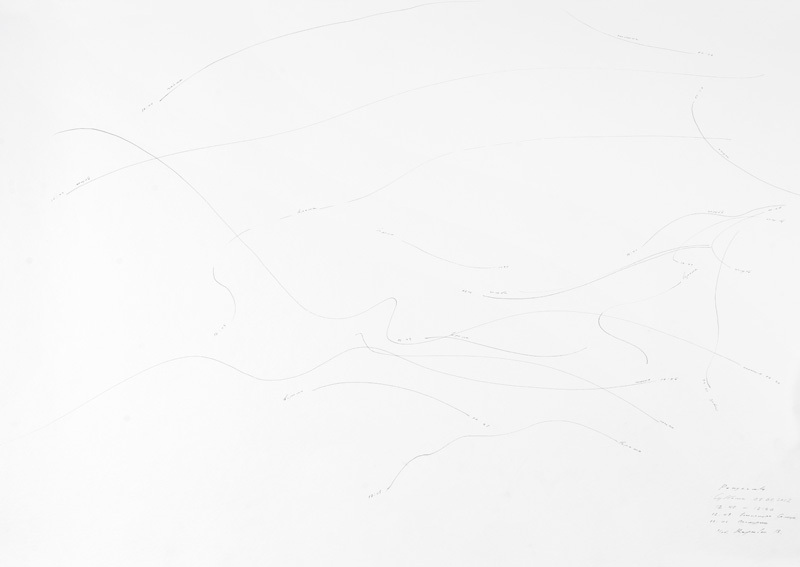 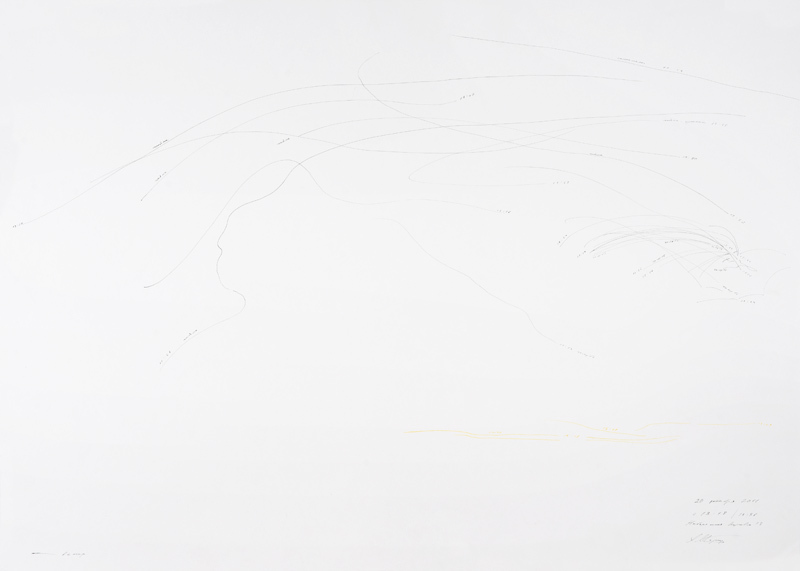 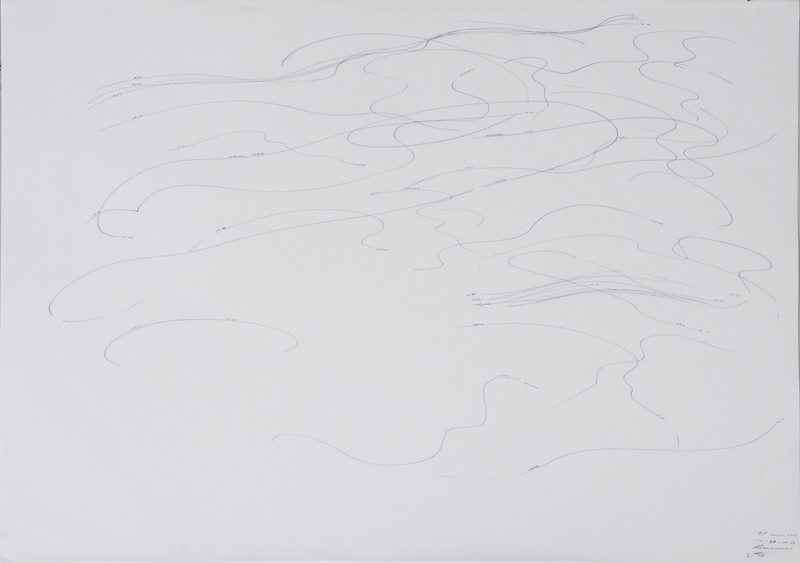 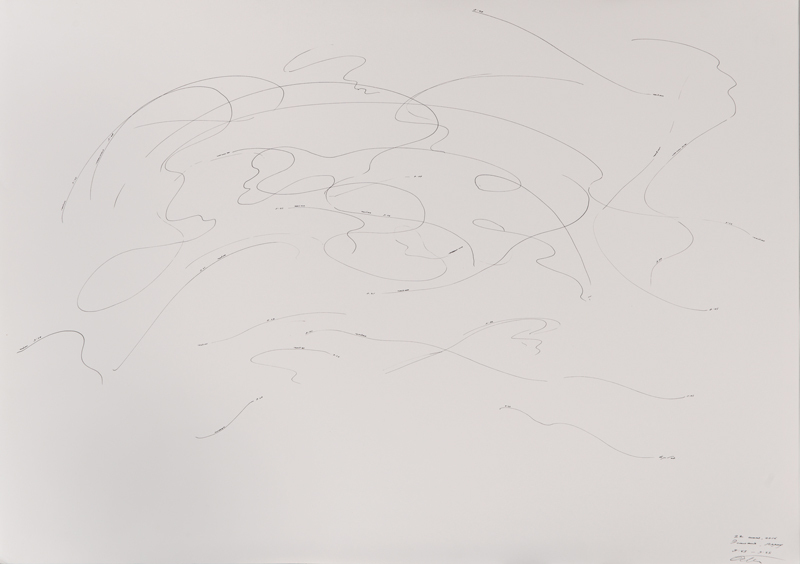 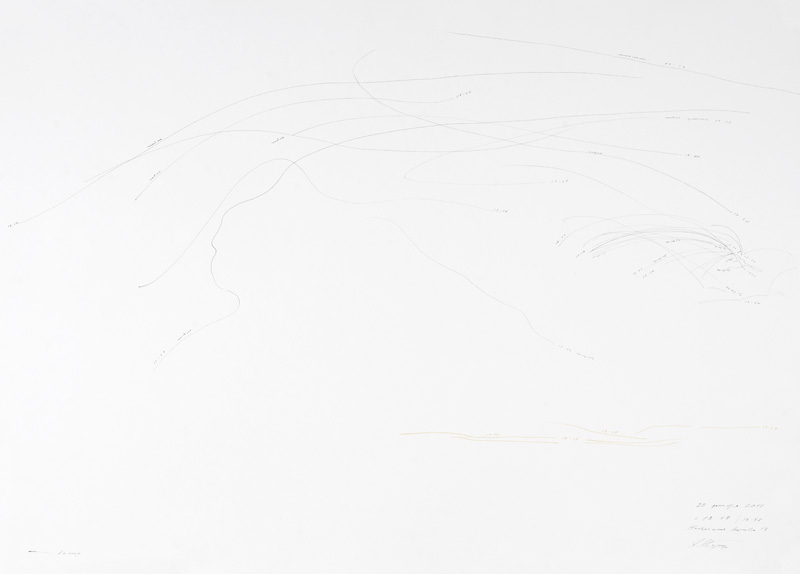 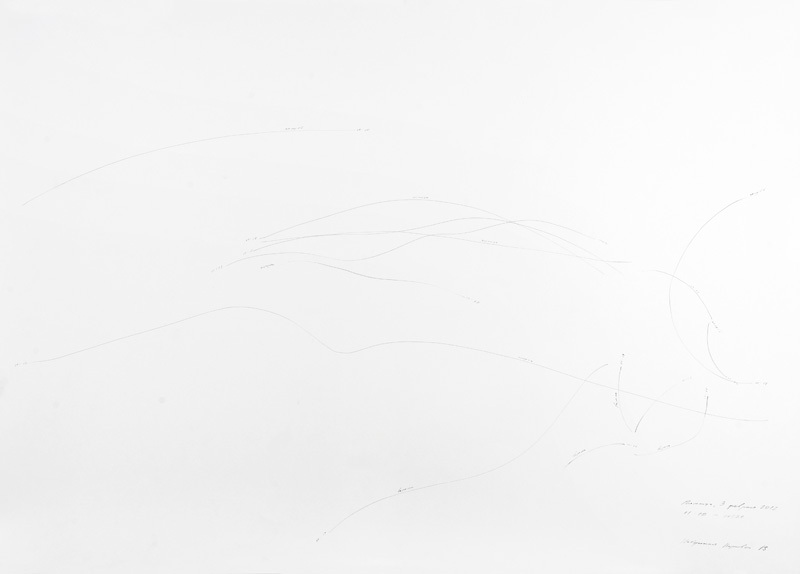 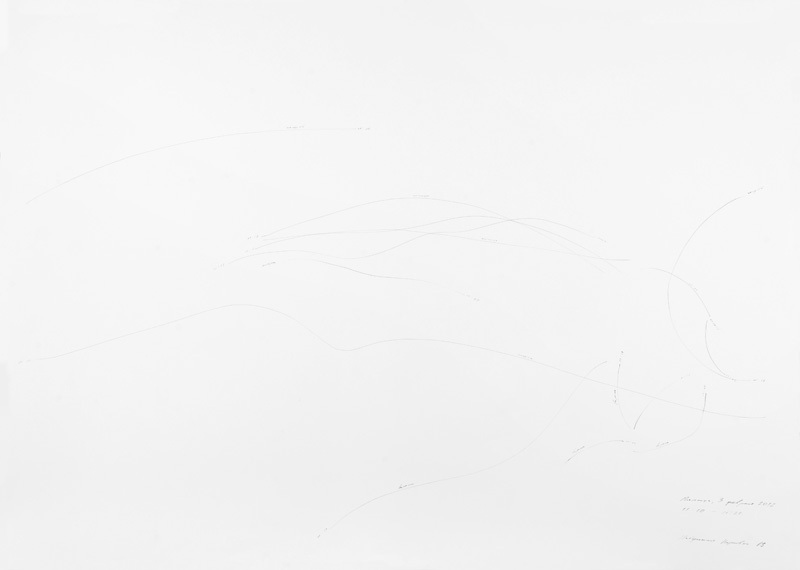 Since the autumn of 2011 to the present time, I draw the traces of birds’ flights outside the window of my studio. 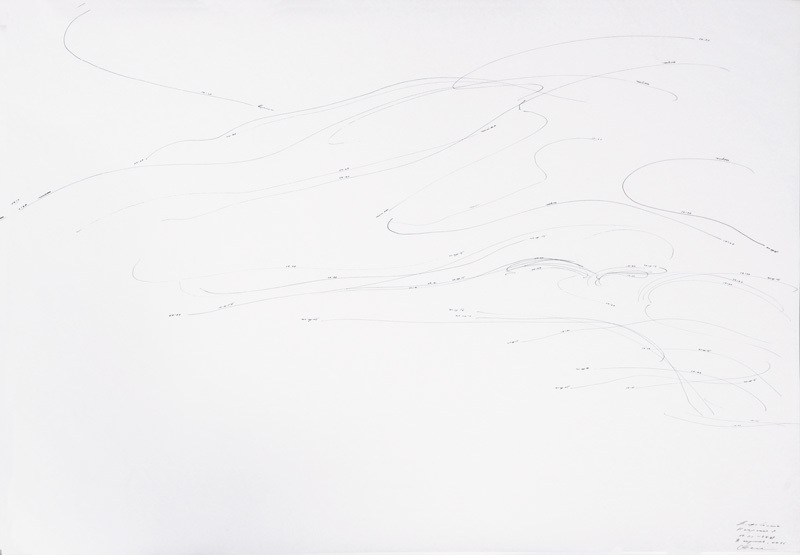 These observations on the trajectories of birds’ flights lasting 10 minutes are an uneconomical waste of power and working hours. 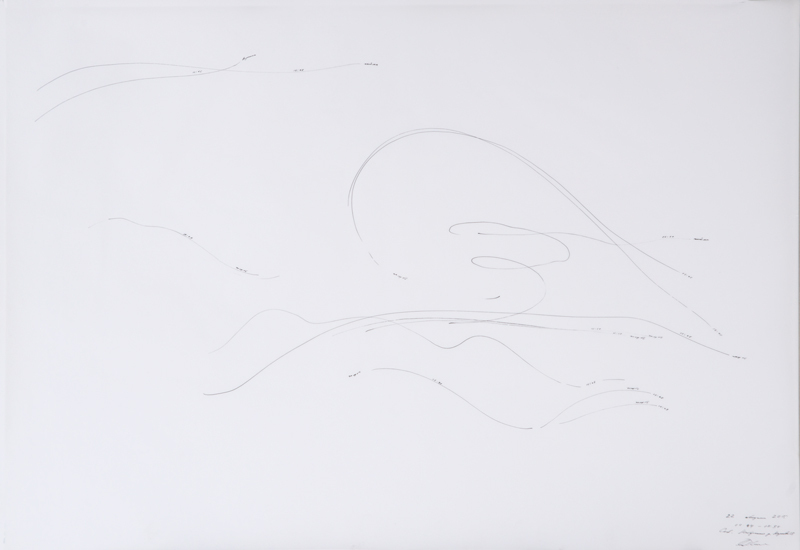 The presented graphics is the documentation of the time and flight paths of birds outside the window. 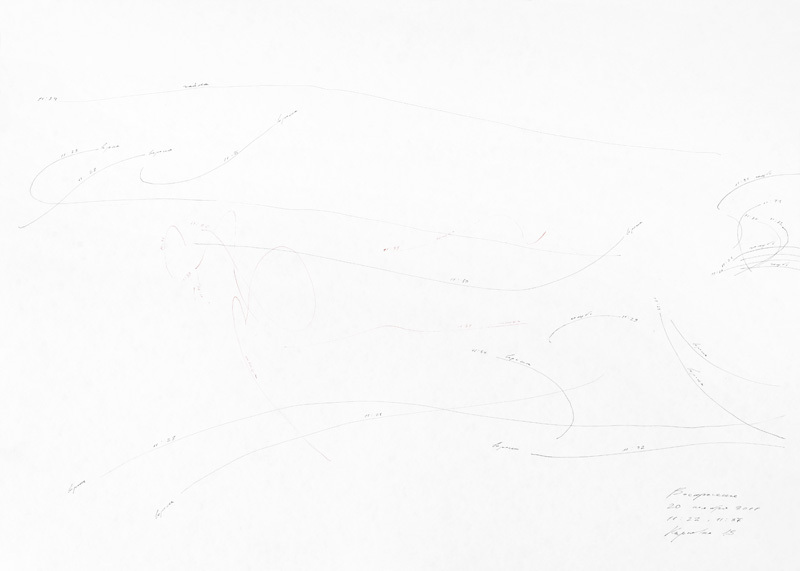 These formally conceptualist invisible lines, signatures, numbers turn to pure industrial (for some reason I want to say “hospital”) romance. 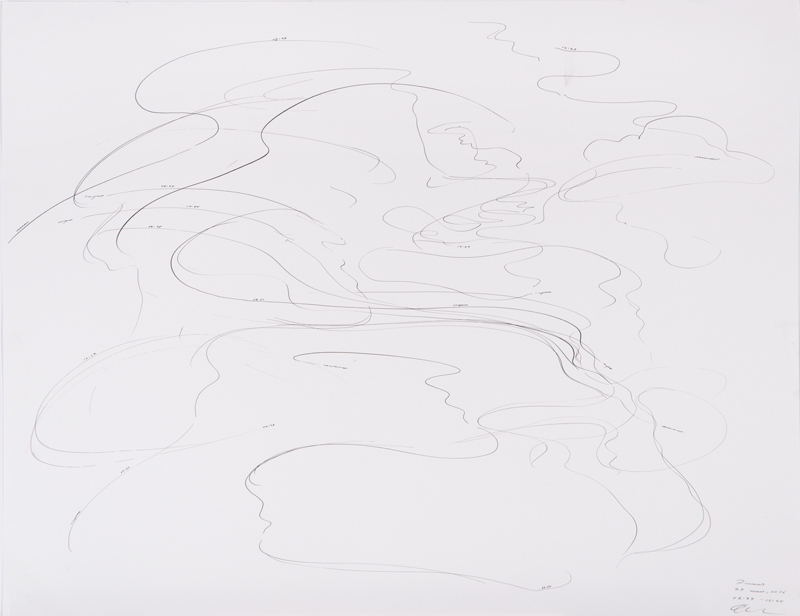 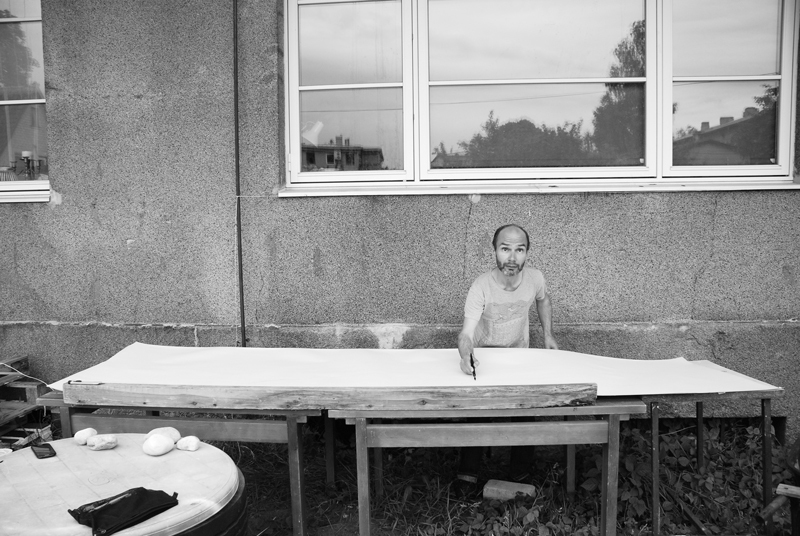 This series does not document what I saw, it rather talks about the state of presence, of contemplation, of detachment. 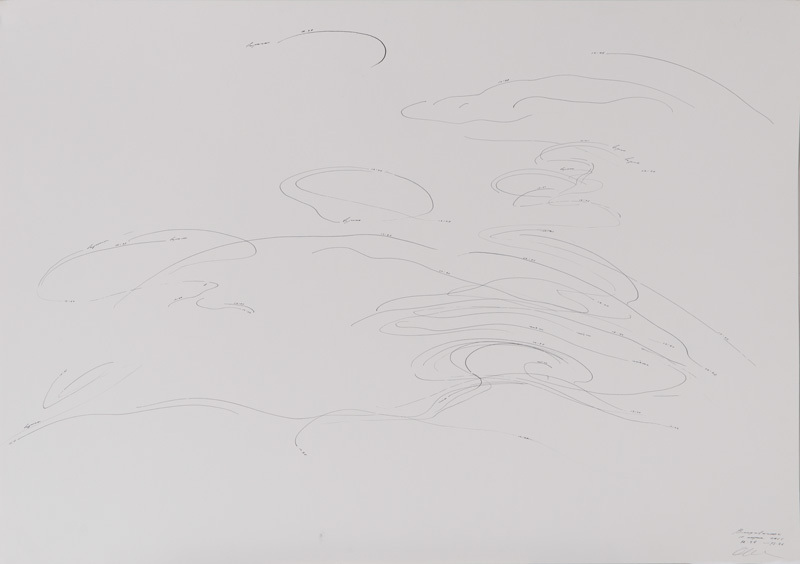 On the one hand, these drawings are the sketches of the space outside the window, on the other hand they are temporal landscapes of my yard and my personal diary.